Home Download Willow On Silks WITH MUSIC! Willow on Silks WITH MUSIC! 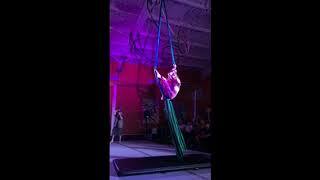 Suspend's Autumn Showcase 2017; first-time performer Willow on aerial fabric performing to Neko Case's "I Wish I Was the Moon"